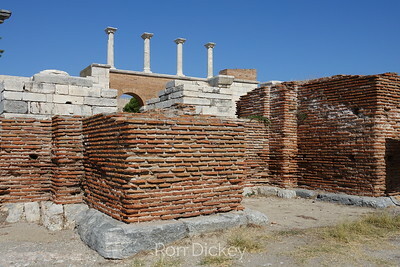 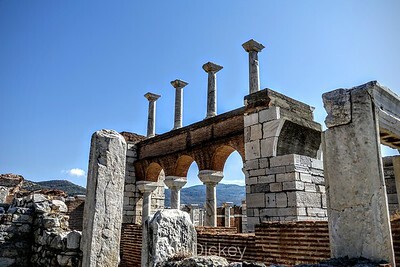 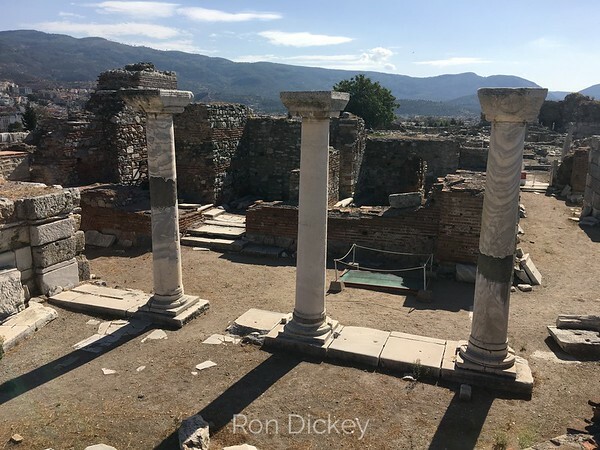 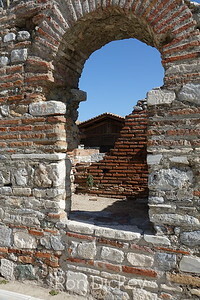 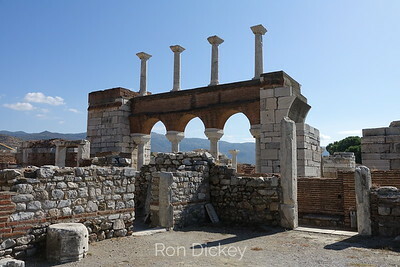 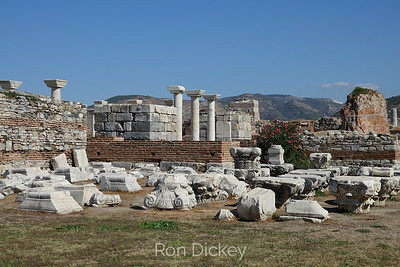 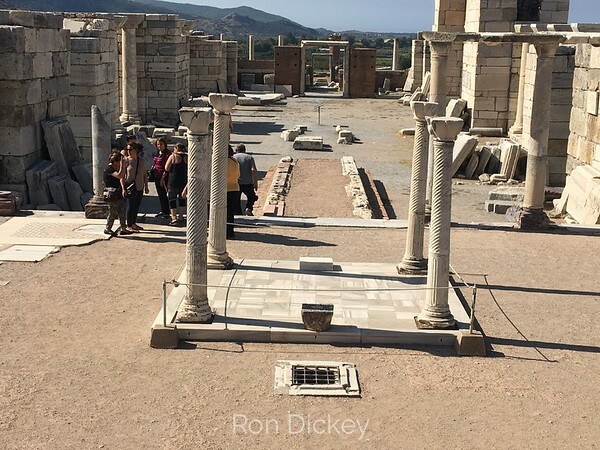 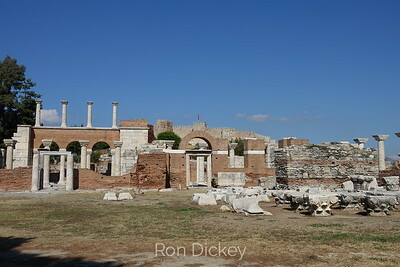 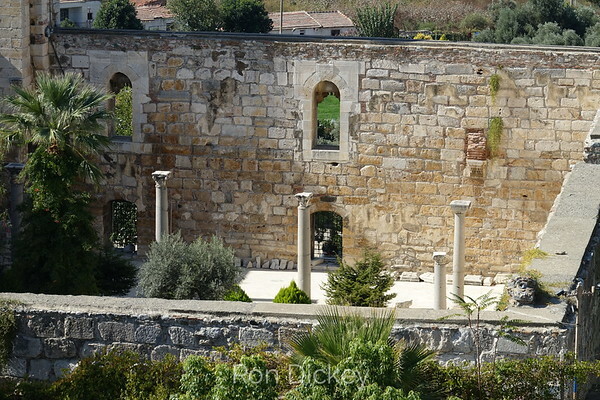 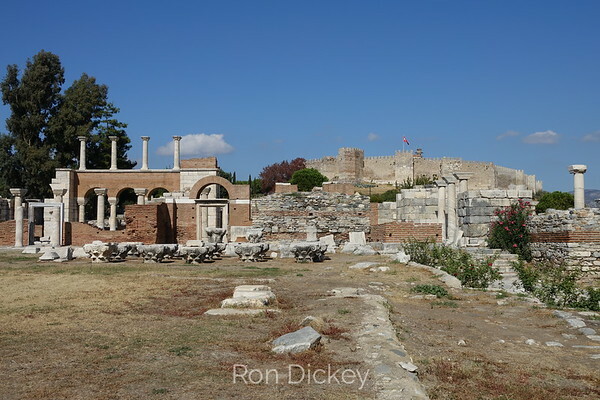 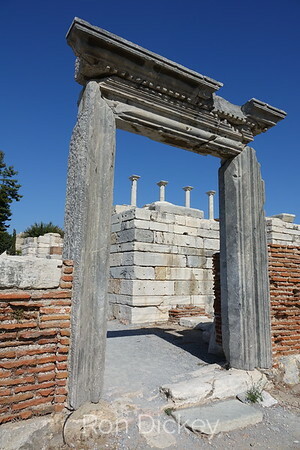 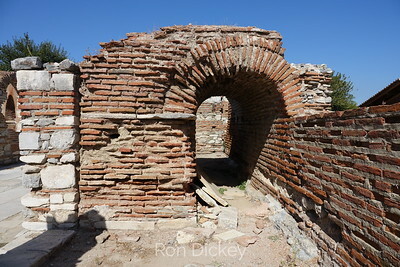 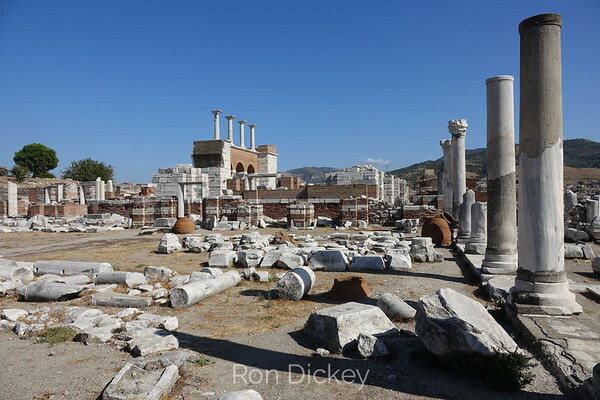 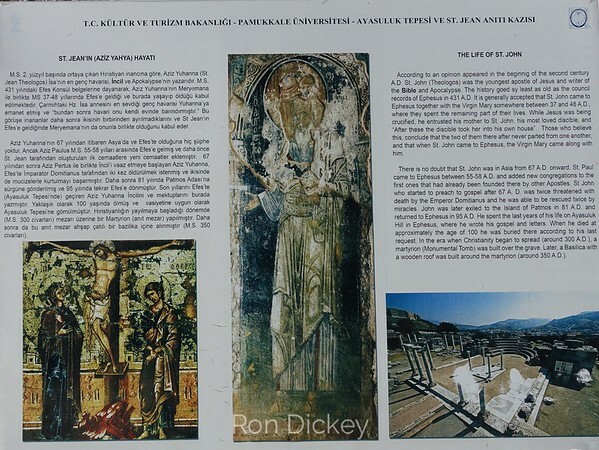 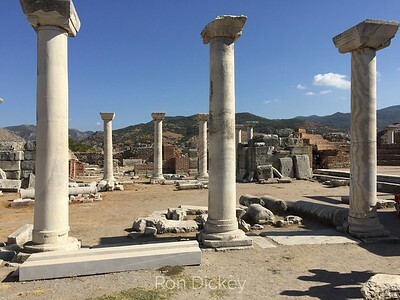 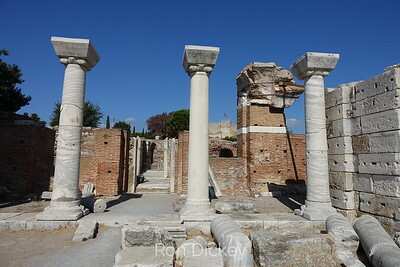 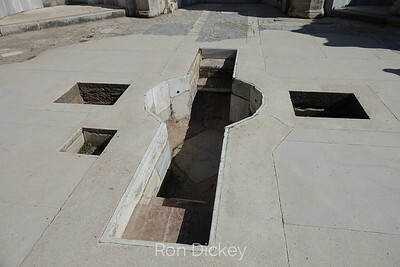 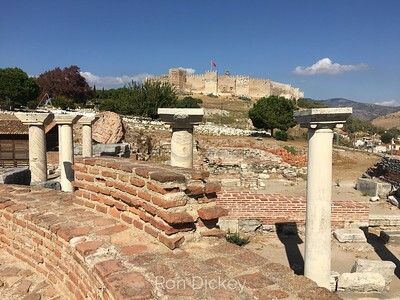 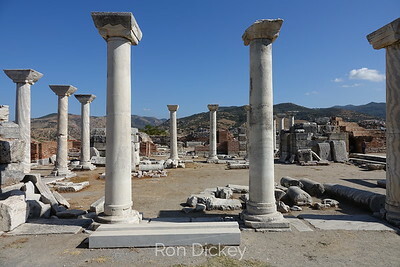 Located in the town of Selçuk a few miles away from Ephesus, the remains of the basilica overlook the remnants of the Temple of Artemis, creating a matched set of two great religious landmarks now fallen into ruin. 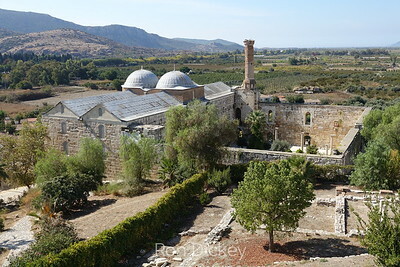 Ayasuluk Hill—the site of the ruins of the church—is a promontory that overlooks the town of Selçuk and the surrounding valley. 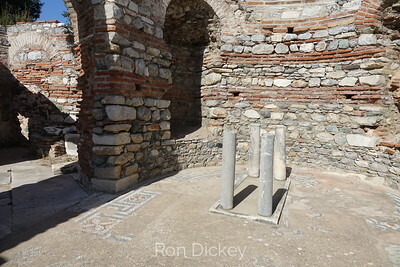 Its scattered stones and low-lying walls only hint at the grandeur of the building that once stood here. 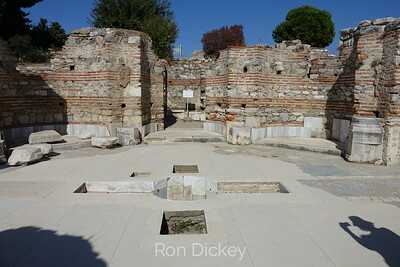 The traditional tomb of St. John, located under the main central dome, elevated the site to one of the most sacred sites in the Middle Ages and thousands made pilgrimage here.